How to come in Namchi? 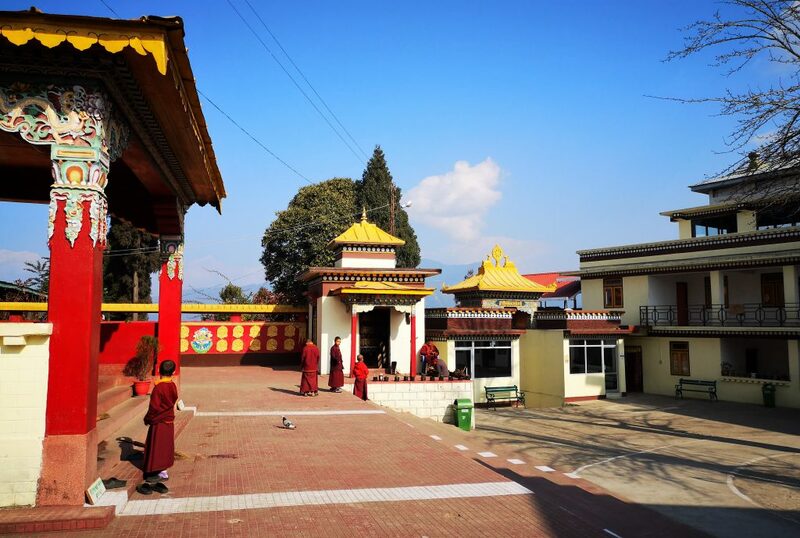 During my 10 day trip in Sikkim, India I stayed in Namchi for a couple of days. In and around Namchi there is a lot to discover and the area defenitely deserves a visit of a couple of days! 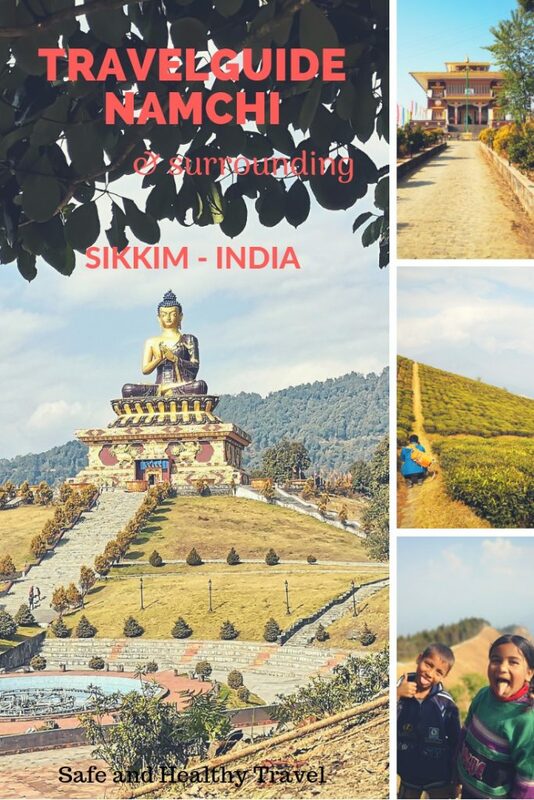 So I give you this travelguide for Namchi!! 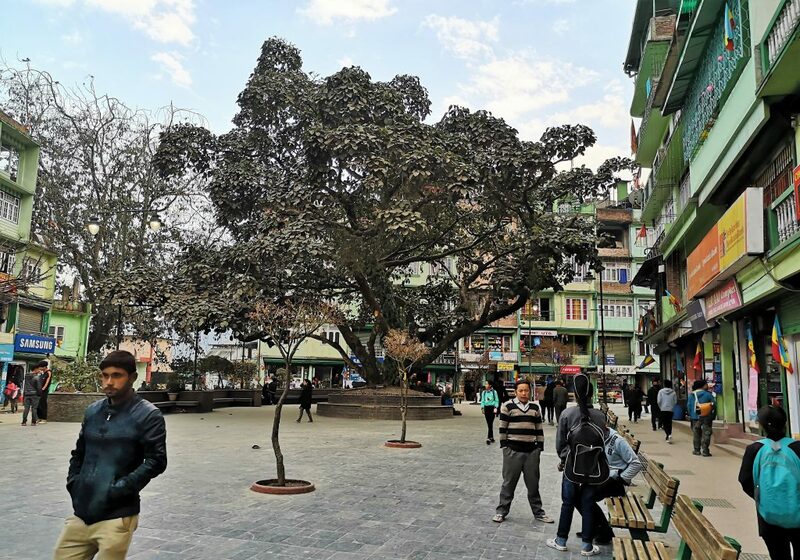 Namchi is the capital of South Sikkim and 40.000 inhabitants. 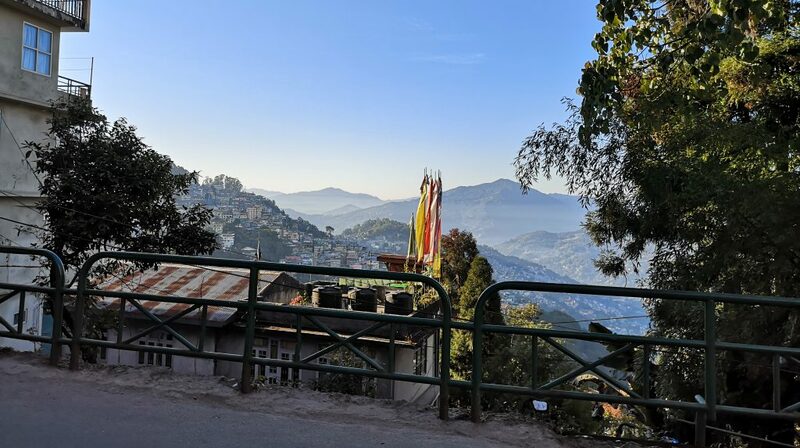 The name Nam chi means Sky (Nam) High (chi) and is translated from the original language of Sikkim. 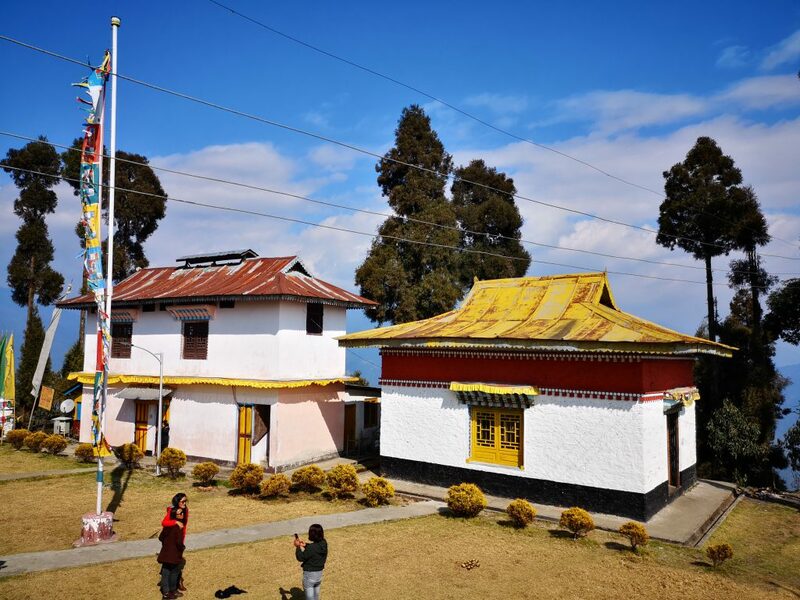 Until 1975 Sikkim was a kingdom but now part of India. Namchi is situated at an altitude of 1315 meters. 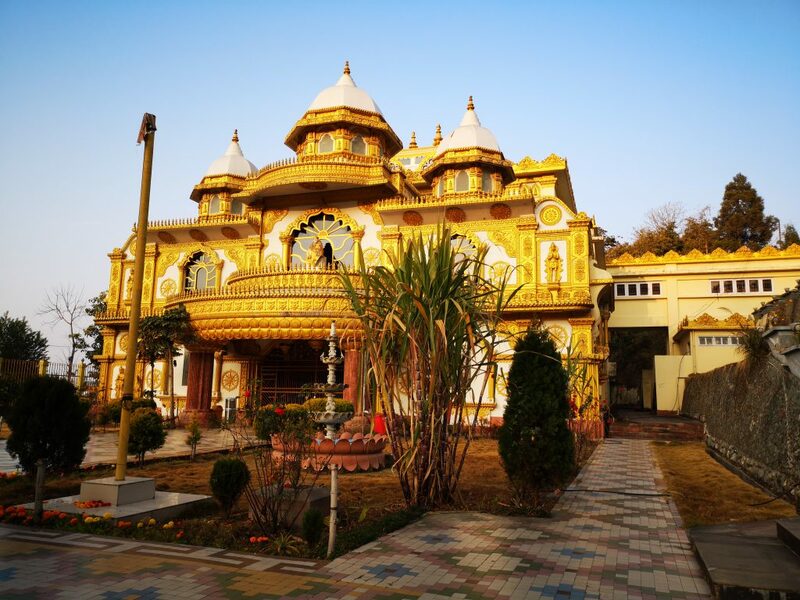 Our hotel was far from the city centre and the spot was just great, we had the view on Sai Mandir. A beautifully coloured temple. The staff was very helpfull and took great care of us. Do if you like a quiet and great spot you should go for : Luitel Residency. We stayed here for 2 nights and so were near Namchi for 3 days. We took some active trips and we saw a lot of cultural and historical spots. I will share all of those spots with you in this post and ofcourse I hope that you are able to visit them one day! 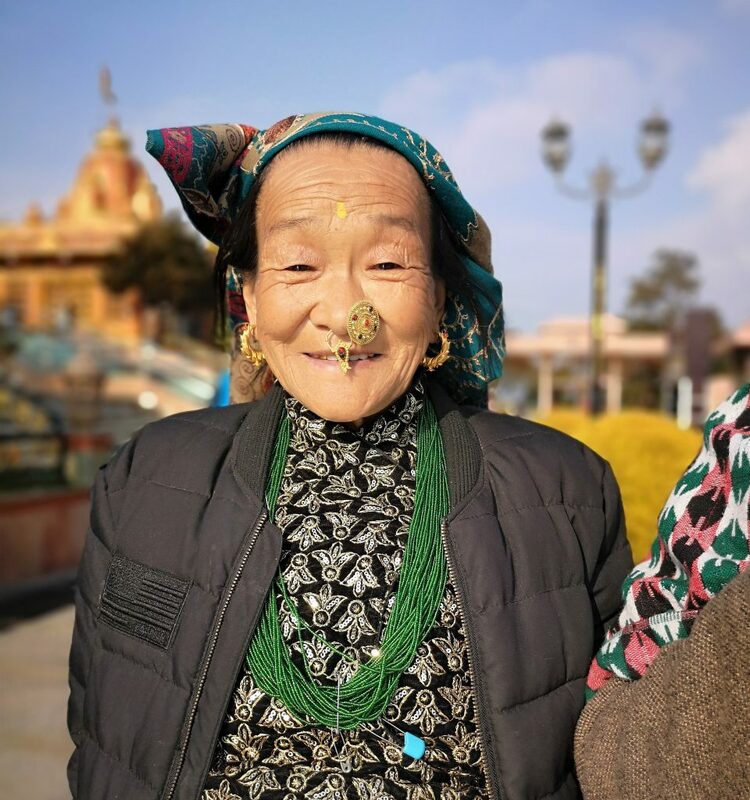 Sikkim is a great state to visit and as I said before… The people have a good life here, there is not that much poverty and the state has managed things quite well. It is really clean on the streets! 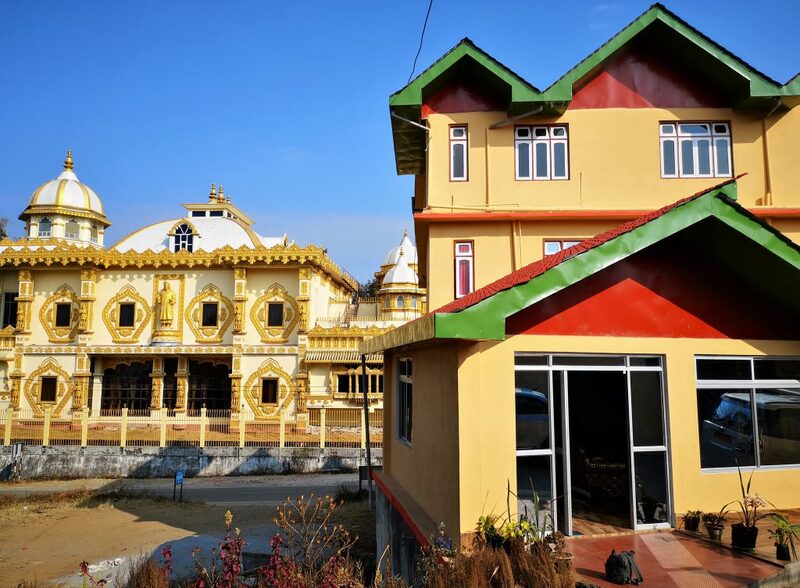 This most sacred place in Sikkim called Chardham is on the mountain Solophok and is a 5K drive from Namchi. 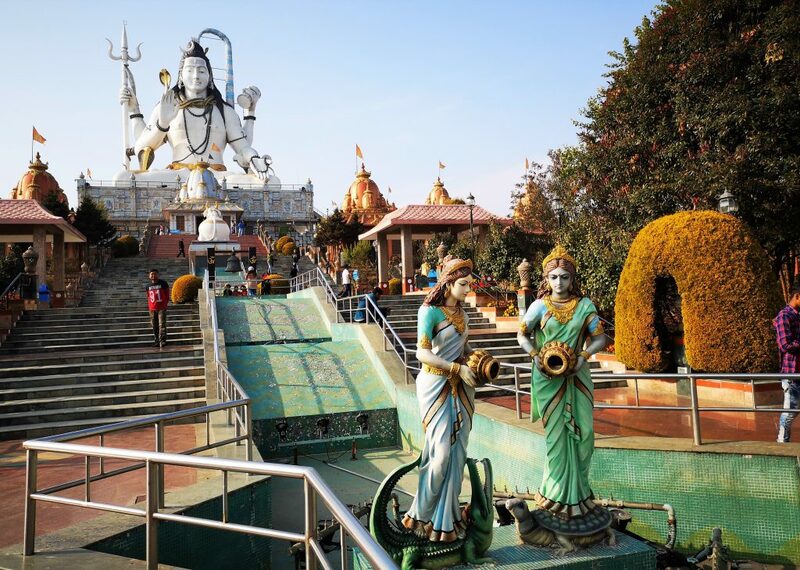 The highlight of this sacres place is the 104 feet tall Shiva statue. 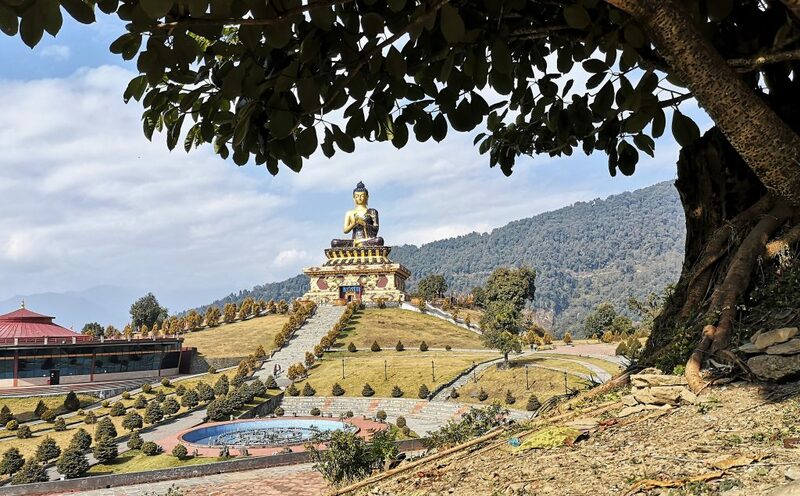 With good and clear weather you can also see the other statues in Sikkim, the one at Samdruptse and Chenrezig at Pelling. There are several temples in this park that are rebuild in detail from temples from all over India. I really liked walking this parc and I had a meeting with that beautiful woman from the second picture of this blog. She, and her family wanted to pose for me, loving that!! 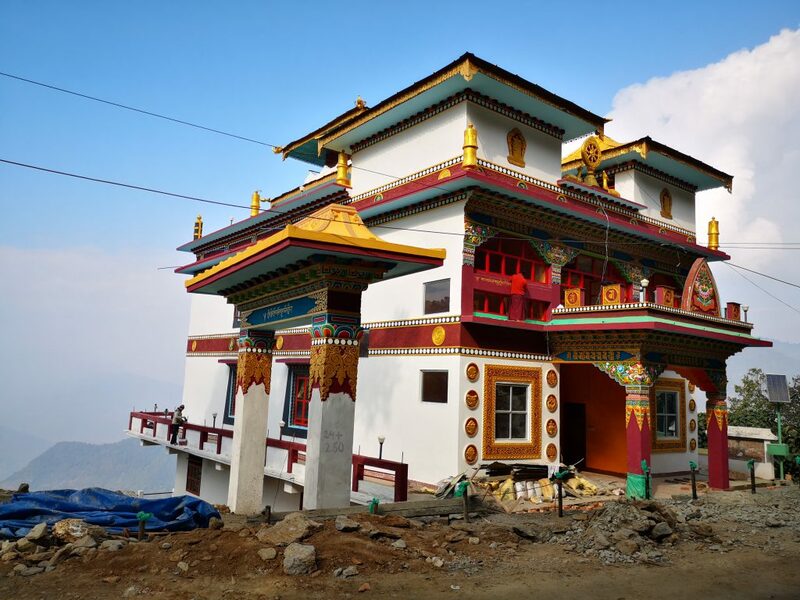 Did you know that this is the first Shai baba temple in Sikkim? And this is not for a long time like this? This temple opened its doors in 2010. I love those humoungous statues, they are really impressive! You see them from afar… Sometimes you see the statues already for some days and then finally you get the visit it. This mountain is about 7000 ft altitude and is called Samdruptse. They translate it to Wish Fulfilling Hill. 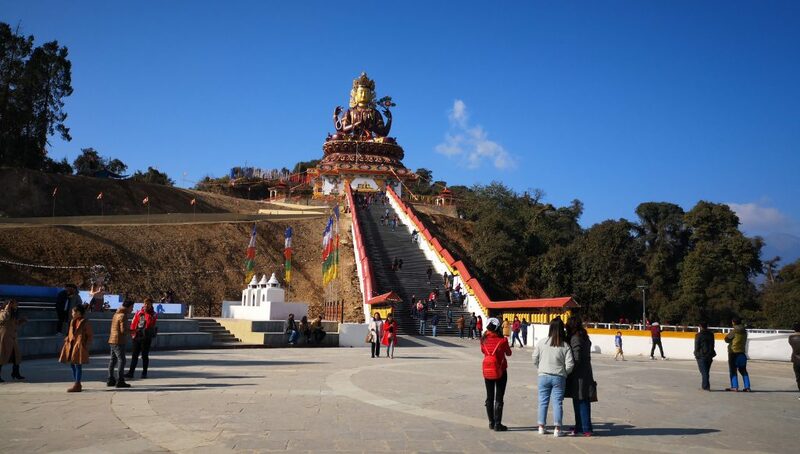 The statue on top is Guru Padmasambhava. 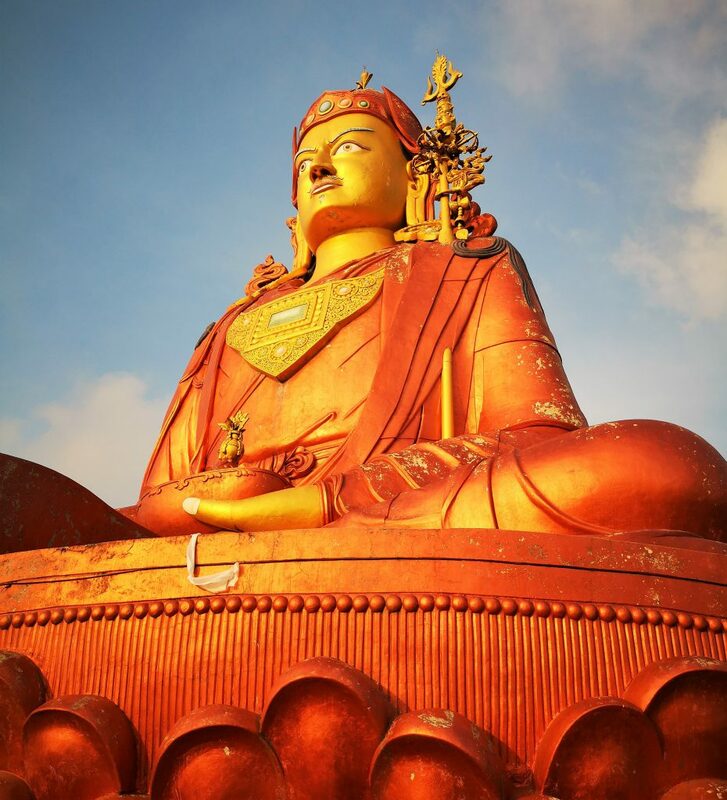 This guru is the patron saint of Sikkim for over 1200 years already. First we had to walk a part to get to the foot of this 147 feet high statue. You can still walk up for two stages and eventually be inside the guru. Do also take a look at the old pictures that are displayed on the lower part of this statue, next to where you stall your shoes before going up. 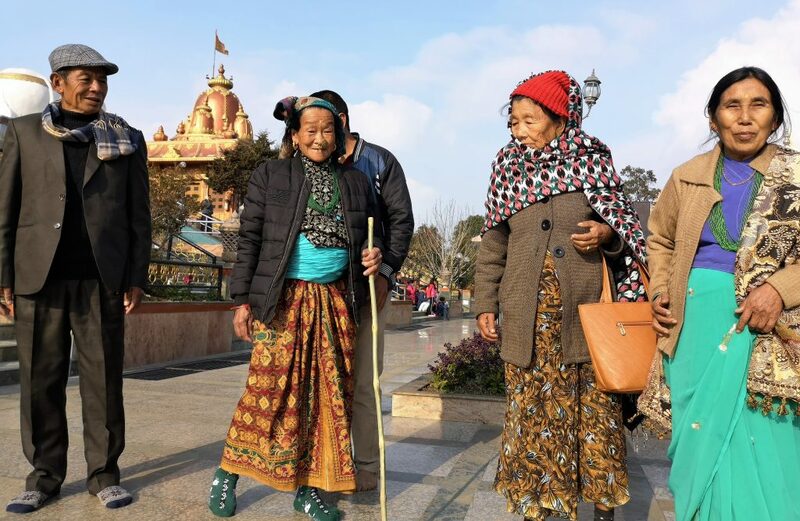 They show you the life of the Sikkim people in the old days. There is a ropeway at this point to go down to a rock garden. I didn’t take it because I wouldn’t have a good view otherwise I would have taken it. It is only a 6 minute one way down ropeway but a great way to see the best views over the surroudings of Namchi. After a nice stroll in the rock garden you can go up again to continue your tour. The rock garden is also easy to visit without using the ropeway. Going to Temi Tea Garden and the Tendong Hill Trek we passed the entrance of this garden. It seems still to be under construction. The name of this stadium originates from India most famous soccer player Baichung Bhutia. On many Indian lists I do see this stadium but I don’t think it is really worth a visit. You’ll pass it going in or out Namchi and you’ll get to see enough of it like that. What I loved so much more is on the other side of the road. 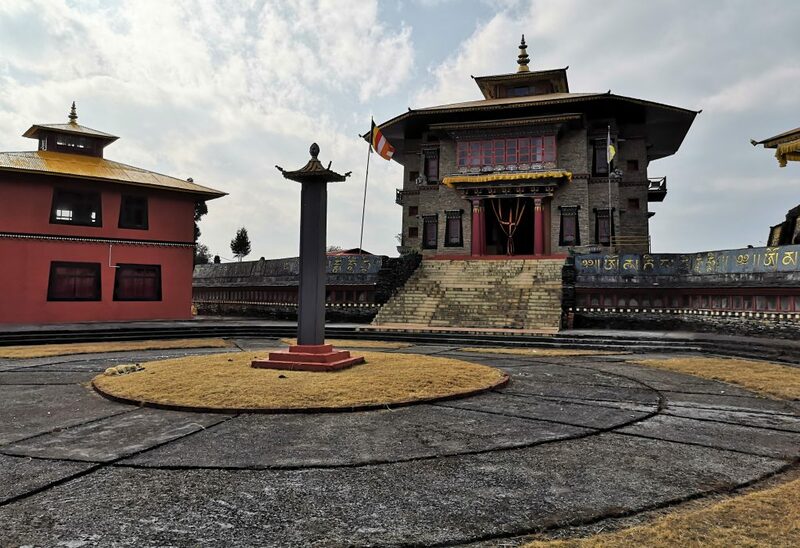 This complex has a school, monastery and a cremation area. I loved seeing all the young monks here. They go to school here and probably live here too. I like seeing them being serieus in their religion but also being young at the same time and just shooting a ball. A great monastery with a magnificent view over the area. 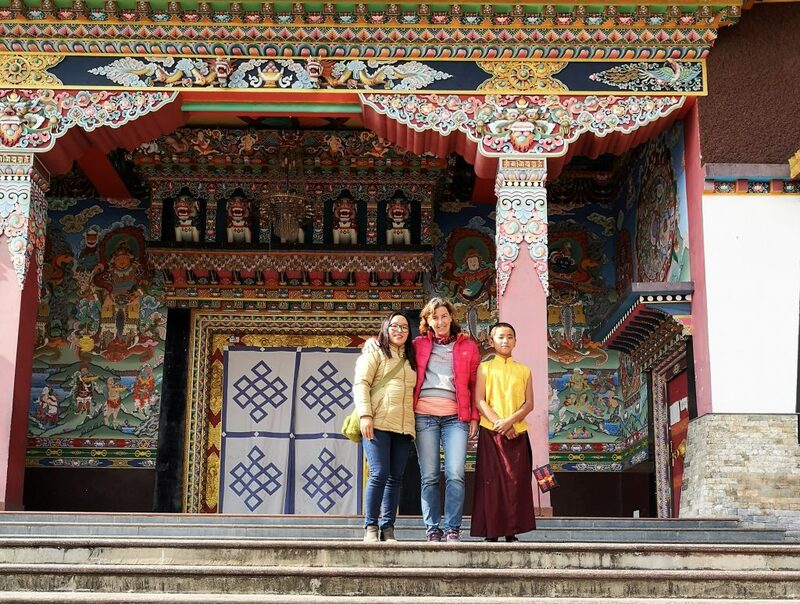 The monastery and temple are decorated with the most care and it gives the place a nice and cheerful atmosphere. I was talking with Abhinav (of A Soul Window)about the fact that a lot of people say Hi to me or give me a smile when passing. He was so surprised about that. I always give people a smile and love that about traveling. We are curious about eachother and most of the time people like to say hi or even ask me something. He was convinced that it worked like that for me, also because he saw a police officer saying hi to me without something happening before. But…he said.. The monks are different!! Well… they weren’t here. I got this young monk smiling… wel even laughing out loud!! I still don’t know why but I did like it! This young monk was finally back to normal after laughing out loud  Still don’t know why! Do visit the old monastery on this property. They are rebuilding it, I hope. The colours that used to be on this building are just the best. If you look good you’ll see it at the door and entrance still. When we came from Gangtok to Namchi we passed this highlight! I loved walking this wall! Gettiing out of the car and enjoying this area. You walk at the rigde of the mountain and with clear weather you’ll have the best view! I’m always surprised by the creativity of India and that was time again the case. 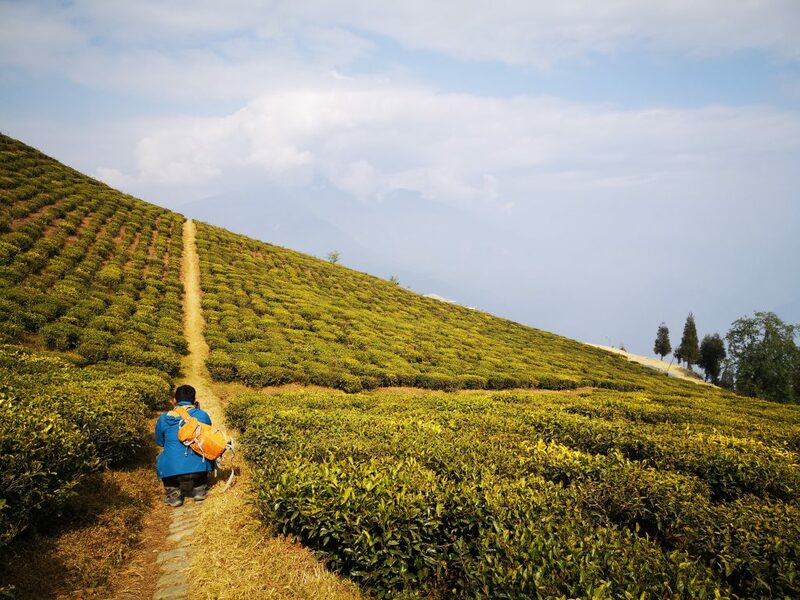 I haven’t been in China but I loved walking here already… So China is climbing up on my bucketlist..
A walk on the tea plantation is a good way to start your day! You have the best views over the glowing country of the estate. In the distance you’ll see the snow capped mountains. You need to get a cup of chai here ofcourse. 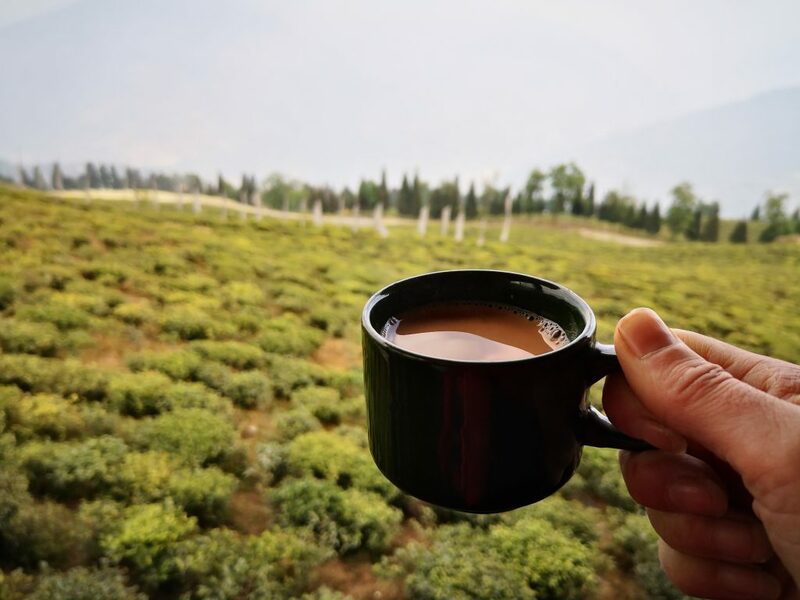 I love the Indian chai!! Do you like it too? At the opposite side of the street you can buy your own tea to make at home or to give away. Getting active for a while is a good idea when traveling around by car. 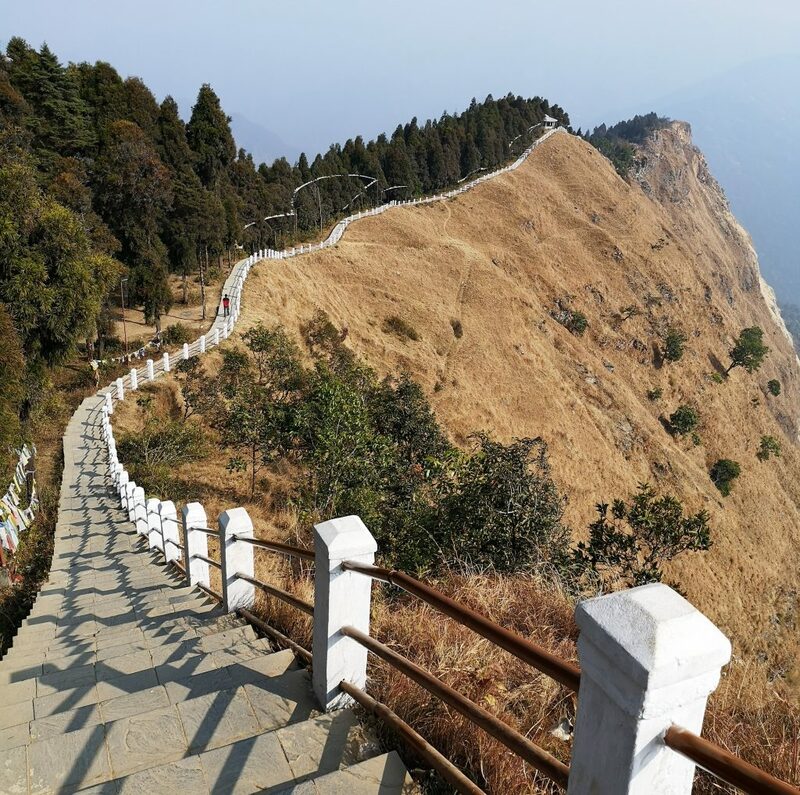 My legs needed it and we did the Tendong Hill Trek. It took us 3 hrs in totall, 1.5 hours up and and hour down. We were up at the Gumpa for a half an hour. It was a surpise to find the Gumpa upstairs. We couldn’t find much online and so didn’t know if we even had a endingpoint to this trek. They just said to walk up and down in about 3hours. So coming up and finding this religious site was great! On our way to the Temi Tea Estate we got along the entrance of this rock garden. 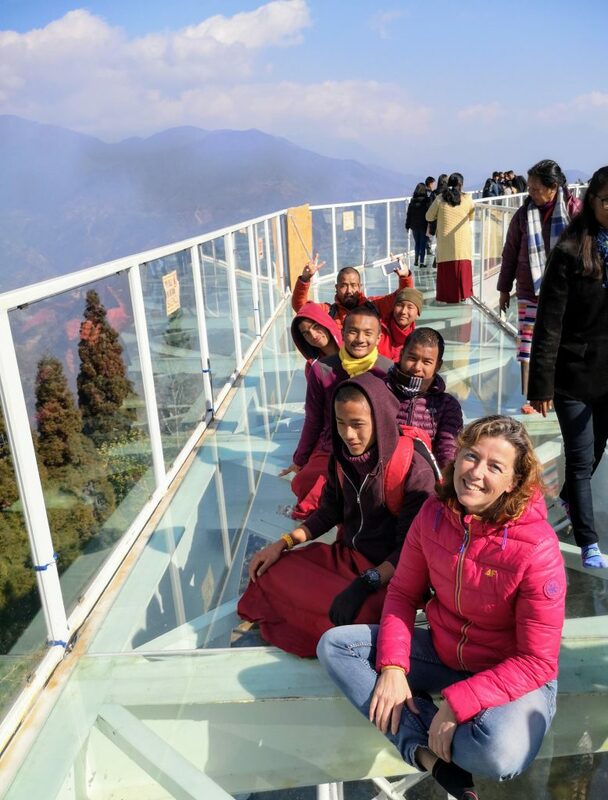 You can go here by using the ropeay but also when visiting the Estate or Tendong Hill. We also saw this great temple when we went to the Temi Tea Estate. They were building it but it already looked great. If you are there when it is finished and you go in? Let me know! 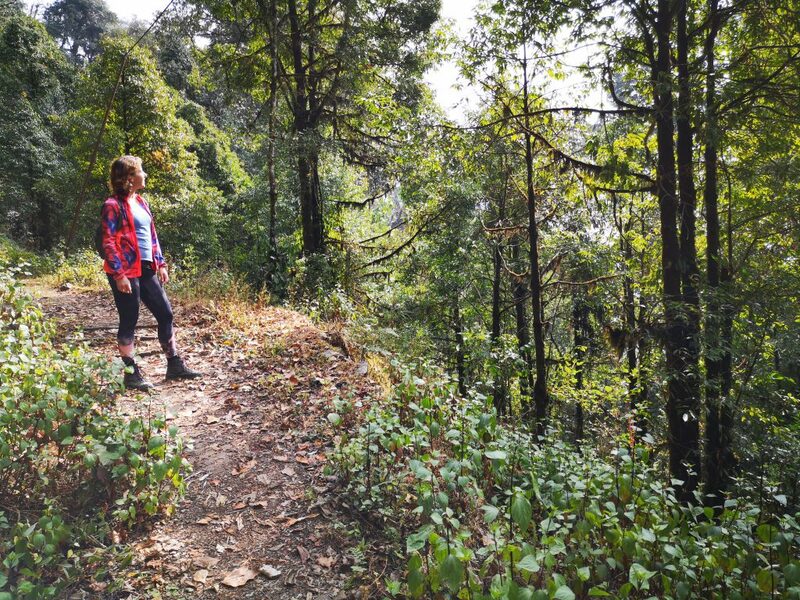 We left Namchi to go to Pelling. 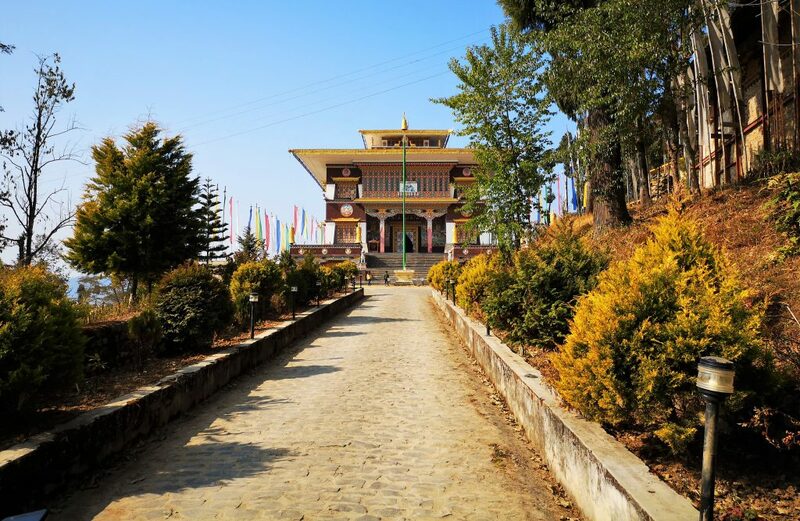 On the way you can visit Ravangla. It is about 30 K from Namchi. I really loved the serenity of this park. You could here the music (Om Mani Padme Hum) all around the park. We had a lunch and found out that there was another temple on the back of this park. You can’t miss this one!! Rabong Gumpa was build in 2006 and is unique! The shape is different then most temples and monasteries and I thought it looked great! 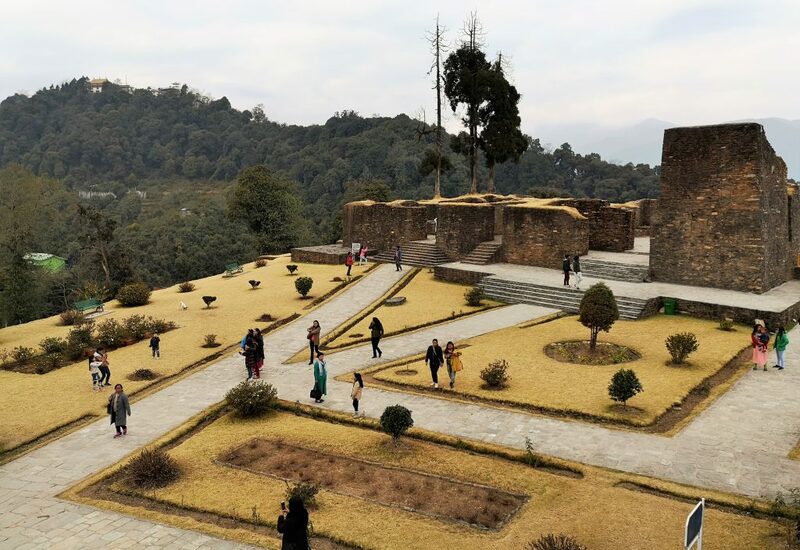 Going to Pelling you also should go to the ruines of Rabdentse. They also call it the Machhu Pichu of India! 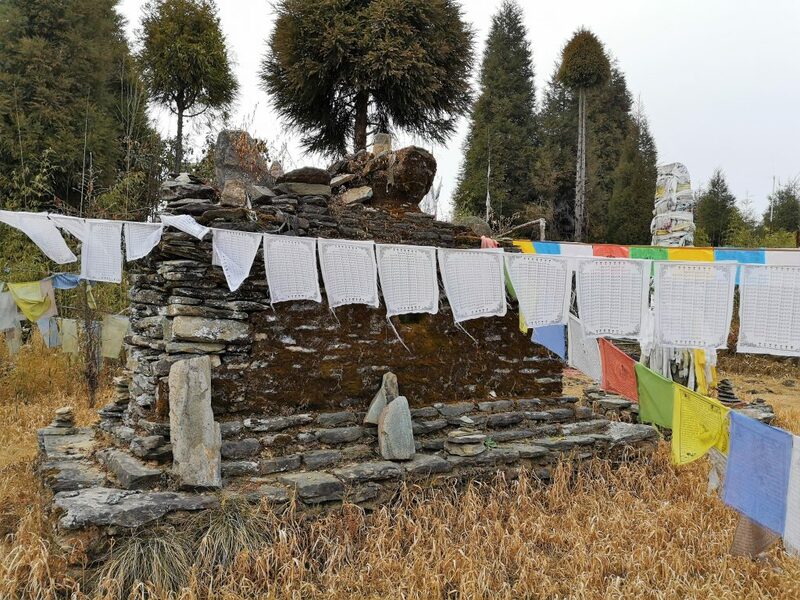 These are the ruines of the first capital of Sikkim. There was a palace that was on a hill, you’ll reach it after a nice walk through the forest. 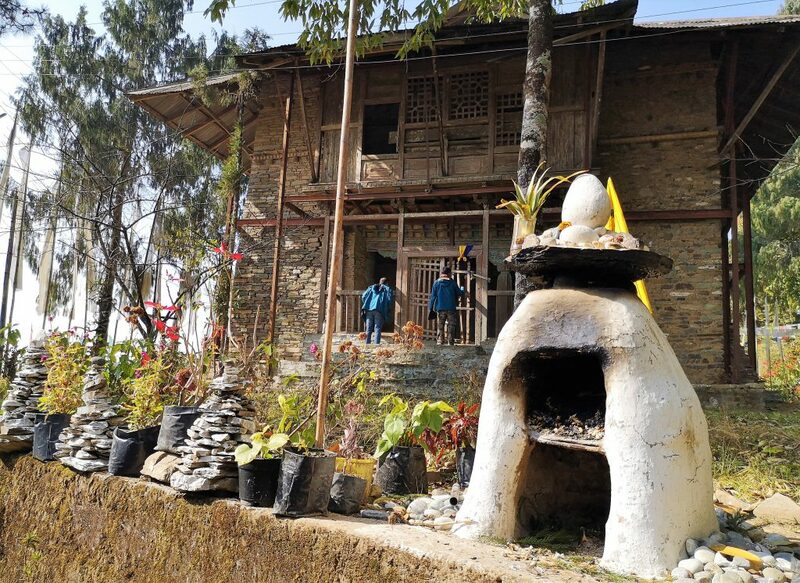 Rabdentse is about 63 K from Namchi and close (10 K) to Pelling. If you go into the parc you will pay a fee for the ruines but also to see the bird sanctuary. I saw a really huge cage, so big they could fly in it… but then I saw small cages in there… It made me sad and we didn’t enter. I hope they will change this manner of showing animals soon. The views are great! We were here at the end of the afternoon and you see the sun just setting behind the clouds..
Also on the way to Pellling is this great Skywalk and huge statue. I really liked walking the Skywalk. And ofcourse lots of other tourists. It is relatively new, opened in nov 2018 and already famous and very busy. 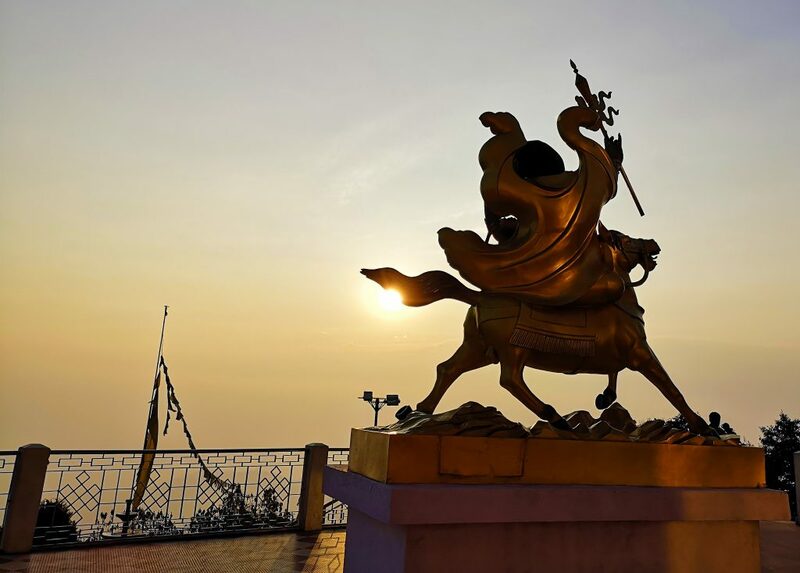 Also the Chenrezig statue of 134 feet is here and it is a important place for Hindus. 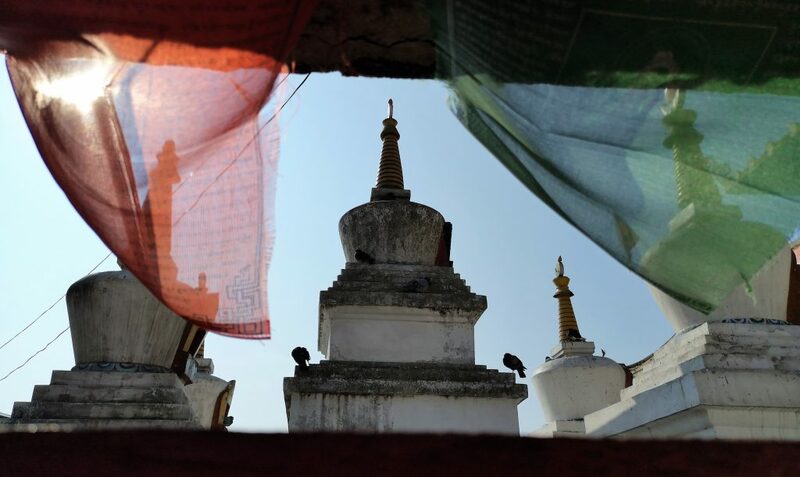 But don’t forget the Sanga Choeling monastery. Look for the signs when you walk up from the parkinglot or back down. I loved this place with the best view! 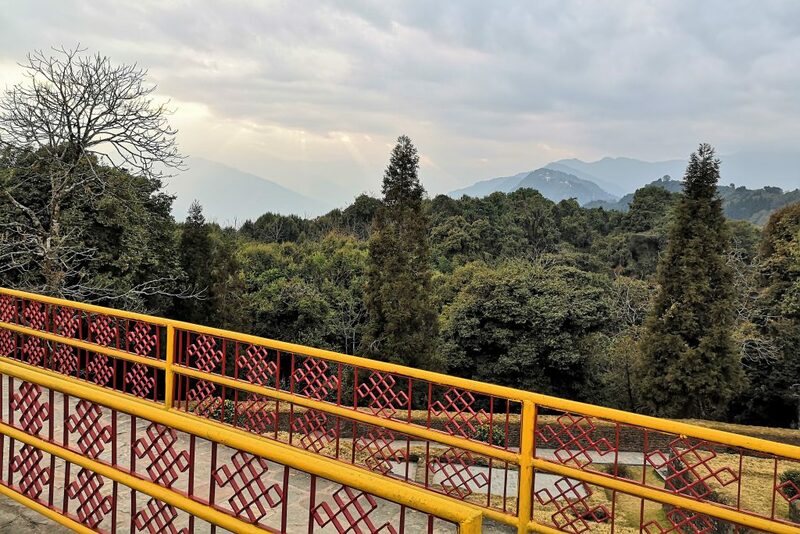 This trip was offered to me by Sikkim Cab Rental Co and I can tell you that travelling with them through the state of Sikkim was very comfortable. Each day you’ll pay multiple entree fees. Most of them are in between 20/100 INR with sometimes one that costs 200 INR. 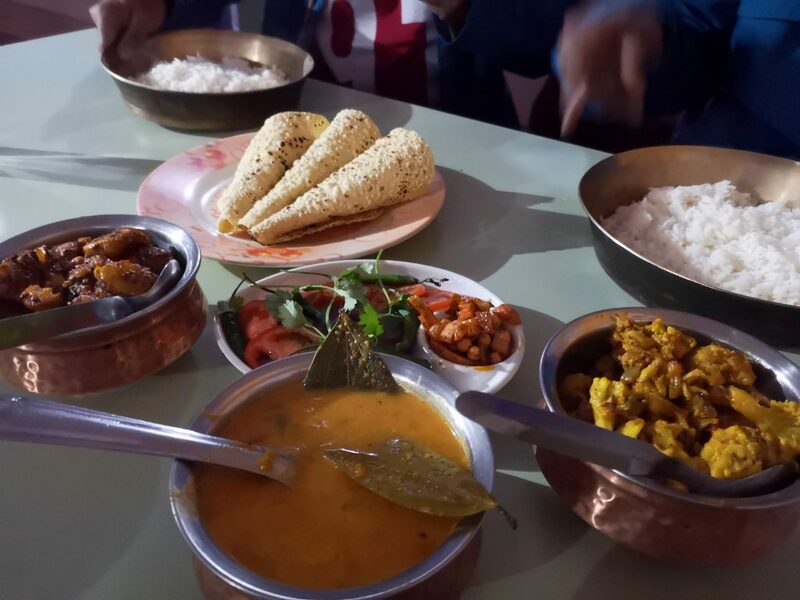 For a meal you’ll pay 76 INR (momos/soup) to 200 INR (Thali). So if you spend 800 to 1000 INR a day it is a lot. If you book Luitel Residency you’ll pay around 2000 INR. Do share them for others to enjoy!! 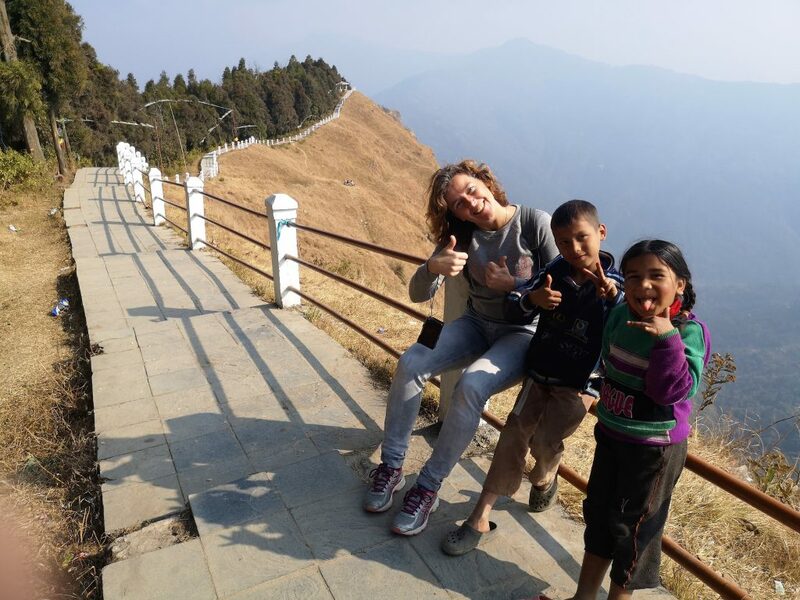 Looking for more on my Sikkim trip? Or can I inspire you to go to Kyrgyzstan? Excellent post Jacomijn. That lady does look great. So happy.